So you've got a big DIY home improvement project looming! That's great! But you're wondering; should we buy or rent that tile cutter? 1. How long will you need the tool? Renting makes sense if you can complete what you need to do in 1/2 to 2 days. Those rental charges add up the longer you need to keep the tool. So add it all up; is it almost as cheap to buy the tool outright; or much cheaper to rent it? There's your sign. 2. Do you see yourself using the tool fairly often after your project is done, or will you not use it again for a year or longer? Renting might be smarter in that case. 3. 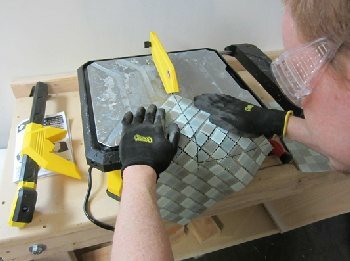 Do you have room to store the tool properly when the job is done? If dry storage space is tight, it doesn't make sense to buy a large power tool with no place to put it. 4. 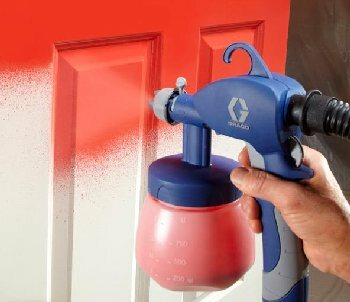 Do you need a professional grade, heavy-duty tool, like a wet saw that will cut marble or a paint sprayer for professional looking (dripless) doors and shutters? Then rent the Mac Daddy. Sometimes renting a tool allows you to test new tools and see if they are right for your needs. In that situation, trying before buying (renting) is smart before laying out a major amount for a new tool. Another option is to buy the tool, use it as long as you need to, then sell it used on Craigslist or in local want ads. You might come out ahead using this great strategy. Read about our favorite hand and power tools here. 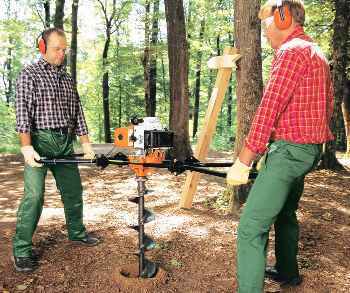 Firewood splitter (you may want to purchase if you cut your own firewood each year). Decided to buy instead? 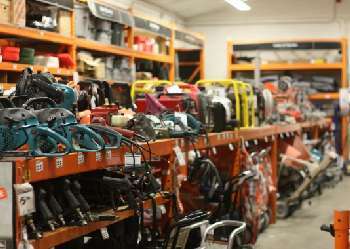 Check out our picks for the best power tools here. Read up on the latest Ryobi Cordless Tools here. Do your measuring and leveling the modern, easy way: with Laser Tools.